Jean-Dominique Senard has been at the helm of French tire giant Michelin for seven years, and in that time has boosted profitability for the company. This characteristic alone is one Renault desperately needs. Profitability was one of Carlos Ghosn’s strong suits, assisting with record sales and profit percentages for the French automaker in 2017. The company heads want to ensure that profit energy continues, and JDS could be the guy to make that happen. Last Wednesday, Senard was given an all-clear by French finance minister Bruno Le Maire, when Le Maire called Senard “a great industrialist” during a television interview. The following day, Renault and Nissan disclosed that both companies were jointly considering the idea of hiring a new chairman to take over Ghosn’s responsibilities. 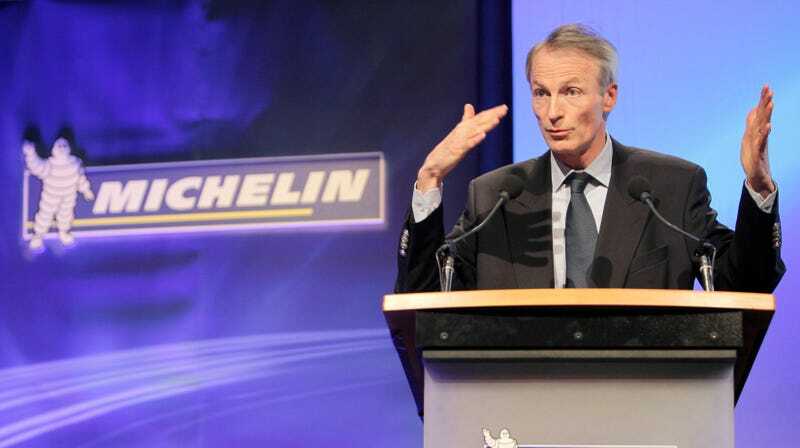 Renault’s current interim CEO Tierry Bollore could be promoted to a more permanent CEO role if Senard were appointed, but it is also possible that the Michelin man (no, not Bibendum) could take over both the CEO role and the chairman role at the same time, as Ghosn had done. Automotive News says a final decision could be delayed until Renault’s corporate meeting in June, where final approval could be handed to shareholders. Senard, meanwhile, has already announced his plans to step down from Michelin in May, declining to seek another term as CEO. He is said to be a quiet man with a real policy of social dialogue, perhaps a direct foil to Ghosn’s bold and brash management styles. Things are, ahem, tense between the French and Japanese sides of the Renault and Nissan partnership, and mending that fragile relationship will be one of the more difficult tasks of a new executive. Both sides feel slighted, especially following Ghosn’s volatile exit, but in the end a level head will persevere, as the auto industry is currently in a massive state of flux. Now, more than ever, Nissan needs Renault, and vice Versa.